A nagging headache that wouldn't go away was the wake-up call for Onome. 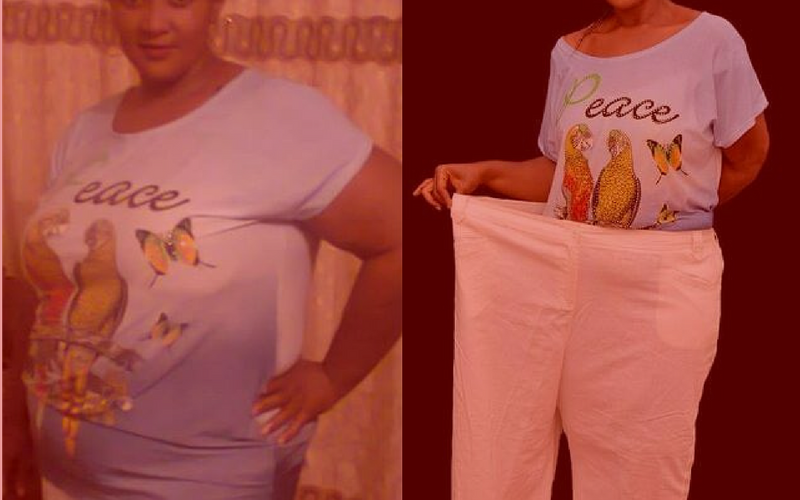 She obeyed the doctor's order and decided to reclaim her health, and she lost 22kg in the process. She will forever remain our Fitspiration. Read her story and be inspired. 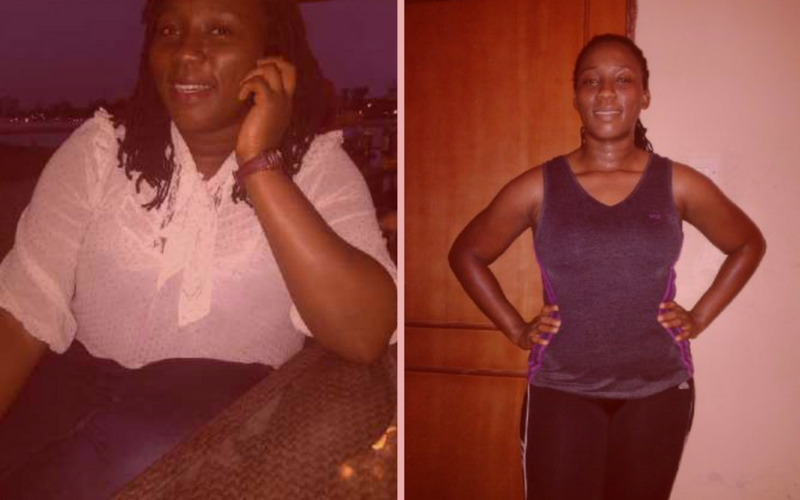 "By the end of April 2014, I weighed in at 78kg and had lost inches all over from my arms to my waist and thighs. I am in the best health condition I have been all my life." It was August 2013. I woke up this day with a severe headache. I managed to pull myself out of bed and get ready for work. Throughout the day I felt very tired. This was my situation for over two weeks before I finally went to the hospital. After a series of test, the doctor informed me that my cholesterol level was high and I was highly overweight. I weighed in at 101kg over 30kg overweight. I decided to me to do the right thing and get healthy but how to go about it was the next challenge. Fortunately, a friend of mine retweeted a post from Esta. I followed her on twitter and visited her blog regularly. I then made the decision to let Esta be my coach. I chose the online program because of the nature of my job. I started my program in October 2013, and I was 100kg. I admit I was a bit sceptical, but the program was amazing. The workout plan was all quite easy to adjust to even for someone that has never been engaged in physical activity. The meal plan was easy to adapt to and preparing the meals was fun. By December 2013 I had lost 12kg. I was so excited. We kept working together, and my physical condition improved. All those headaches and tiredness were behind me. I finally got to meet Esta on April 5th, 2014 when we both participated in the Truppr 5km run. I finished the run in 37minutes 18seconds. Zipporah lost almost half of her body weight in less than two years. She will forever remain our Fitspiration. Read her story and be inspired. “I used to read people's stories and watch on television about their weight loss and think, “how is this possible?” But my thought, belief and life changed when I came across Zone Fitness." My name is Zipporah Kakaki, I have been fat all my life because it was hereditary. I thought I could never slim down as I tried some slimming drugs to no avail, but thanks to Coach Esta who made me believe that hereditary is not destiny, once there is the will and determination.